Today, Stefano M. Stoppani joined as CEO of Creditinfo Group, the international credit information, risk management services and solutions provider. He replaces the company founder and former CEO, Reynir Grétarsson, who remains as active Chairman of the Board and majority shareholder of the company. Creditinfo Group and lead our group of companies to the next level of our expansion phase.” – says Reynir Grétarsson, founder, majority shareholder and Chairman of the Board of Creditinfo Group. He added that he was mostly pleased to find that Stefano shared a core Creditinfo value –“nononsense”. Moreover, Stefano has a hands-on philosophy that is a key part of Creditinfo DNA and is valued by both company partners and employees. Reynir Grétarsson, as active Chairman of the Board, will from now on focus on new business opportunities and strategic acquisitions, working closely, as a team, with the new CEO, therefore more strategic acquisitions are to be expected in the upcoming years. Stefano M. Stoppani took on the challenge of becoming the CEO of a highly ambitious and one of the fastest growing companies of the industry, as he finds it meaningful to contribute in facilitating access to finance and growing economies, especially in the emerging markets. “Throughout the years, I’ve witnessed Creditinfo’s fast growth, admired its courage to enter challenging markets and found the company really interesting and appealing. I am now honoured to join a professional and talented global team that has led Creditinfo to its current success, and I am pleased to team-up with a business owner like Reynir, with whom I share vision and values. I trust that my experience and know-how will contribute in achieving and possibly exceeding the ambitious goals that Creditinfo has in place on a global perspective” commented the new CEO of the company. Stefano added that he is looking forward to teamwork on strategic business development with the Chairman, as well as ensuring smooth and healthy growth of the successful operations Creditinfo has now. 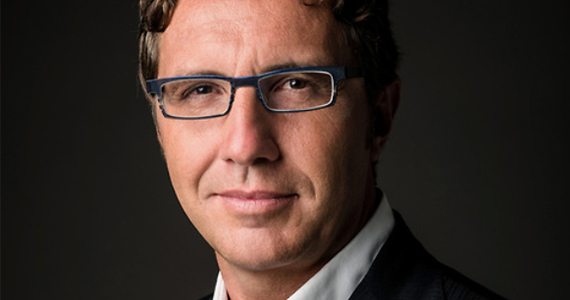 Stefano M. Stoppani’s professional biography.